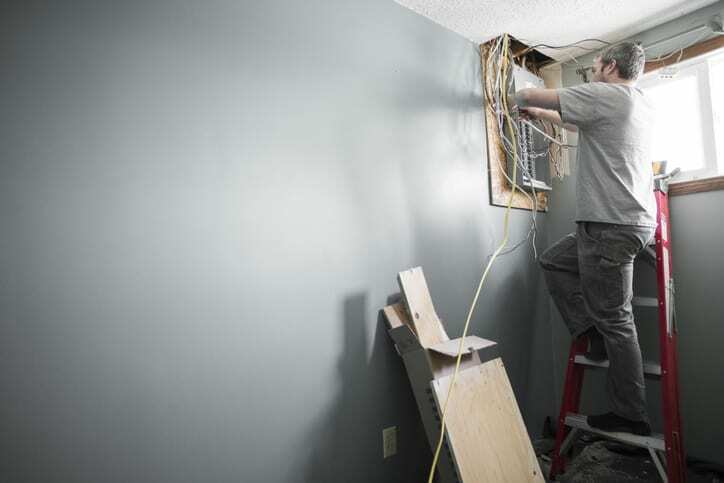 Rewiring a home is a big job, which is why you should always call a residential electrician to do the work. However, you may be unsure about when to call an electrician near you for this service. Here at Palmetto Electrical Contractors, we want to help you know the difference between a routine electrical repair and a larger issue. Here are a few signs that it may be time to rewire your home. Flickering lights – Lights that flicker constantly are a common sign of outdated electrical wiring. Outlet problems – Outlets that are hot to the touch or that spark should be a major concern. If you notice these around your home, you need to call an electrician right away. Blown circuits – Blown circuits should be an extremely rare occurrence in your home. If it's happening frequently, there's a problem – one that could require a rewire of your entire home. Electrical shocks – Electrical shocks are always a bad sign. If you feel anything when you plug something into an outlet, you've got an issue that needs to be addressed by a professional residential electrician. Call an electrician near you at Palmetto Electrical Contractors whenever you notice any of these signs at your Rock Hill or Charlotte home. We'll inspect your wiring and let you know if it needs to be replaced. Don't take chances with your safety!